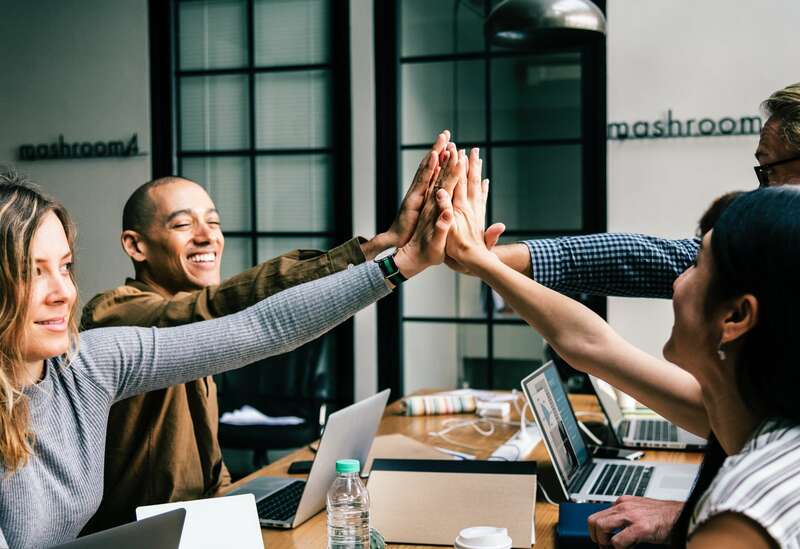 There is a new model for increasing employee engagement that’s improving office culture and increasing employee satisfaction everywhere—and it’s been right under our noses for decades. Fortune 500 companies and tech startups alike have reinvented workplace reading: welcome to Book Club 2.0. When you hear the words “book club,” you are probably imagining the traditional approach: a stuffy living room and an excuse to eat baked goods and drink wine. But as with many traditions, time has given the book club a new look. The act of reading is beneficial to emotional, cognitive, and physical health, and let’s be honest: getting lost in a good book is great way to take one’s mind off of deadlines, emails, and projects. Many who would love to sit down and enjoy a book simply don’t have time in their daily lives to actually do it. Injecting the experience of reading into the workplace improves morale by giving employees some “me-time” during the day, fosters communication and a shared sense of purpose with others, and at a very basic level, gives people a chance to get to know each other outside of their cubicles. Workplace reading can provide a respite from the increasingly intense daily grind, one that shows employees they’re valued and encourages collegial relationships. As to whether reading and discussing books belongs in the professional development category, we can follow the lead of Mark Cuban and Warren Buffet, two billionaire titans of industry who attribute much of their success to reading. Books are their secret ingredient. A workplace reading program is easy to get started, and one of the few programs whose benefits can be seen from day one. Interested in getting a book club off the ground in your workplace? BookShout eliminates the logistical hassle and prohibitive cost of acquiring and distributing books in bulk, and solves the mystery of whether anyone’s actually reading. We’ll also select or help you select top titles from Big Five and boutique publishers, curated to meet your organization’s specific needs and goals. Get in touch to learn more.